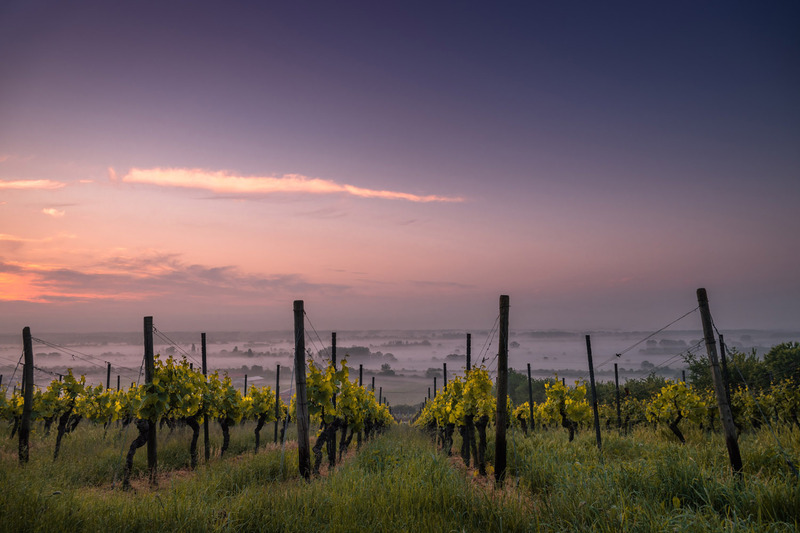 Australia is home to some of the world’s oldest vines, with more than sixty wine regions; the first vines were planted outside Sydney in the 1820s. 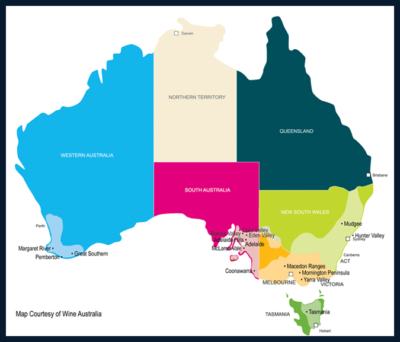 There are wineries to visit from the east to the west coast – most around the coastal region from Adelaide, South Australia, to Brisbane, Queensland, including Tasmania and inland areas such as Coonawarra. 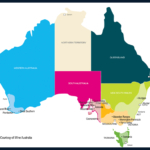 The diversity of the terroir is home to over 100 varieties of grape from cool climate on the island of Tasmania to Mediterranean style in the Margaret River region. The Lower Hunter Valley, only a two hour drive north of Sydney, is arguably Australia’s best-known wine region. The region enjoys a warm to hot sub-tropical climate not normally suited to producing quality table wine – cooling afternoon sea breezes are the region’s savior. Originally making its name for long-living Chardonnay, Semillon and Shiraz. The Hunter Valley also produces a substantial amount of the trendier Chardonnay and Sauvignon Blanc varieties. Many boutique wineries, trendy restaurants, bed and breakfasts and art and craft shops have sprung up over the last ten years, catering for the many tourists and Sydney wine lovers who venture north to this picturesque area. Mudgee, 260 kilometers north-west of Sydney, was first planted to grapes in 1858 by Adam Roth, and was the first wine-growing region in Australia to grow Chardonnay. Although Mudgee is on the same latitude as the Hunter alley to the east, the district’s average 500 to 1000 meters above sea level provides cooler growing conditions. This leads to a longer growing season which, when combined with the rich soil, produces full and flavorsome wines. Most of the district’s more than 20 wineries are small individual boutiques. north at Padthaway and nearby at Wrattonbully. Estate and Red Hill Estate. years. The area is known for long-living Shiraz, lime flavors on the palate, and a long, dry finish. green and quite hilly, with many of the local towns having the atmosphere of an English country village. and Chardonnay, as well as Semillon and Sauvignon Blanc. Pemberton, an exciting new wine region, is just over an hour’s drive to the south-east of Margaret River.